You must print the book exactly as it is published and may not add or remove any book content or copyright notices. You may not make any charge of any sort for the books that you print. It is permissible, however, to give free copies of the book to students who attend a free (or paid for) class or course. According to Lyra Research it costs between $0.05 and $0.08 cents per page to laser print a single black and white page. This means that it will cost between $6.00 and $9.60 to print this book yourself on a laser printer. If you need five or more books you can save a considerable amount of money by ordering perfect-bound paper printed books from ourselves using our not-for-profit printing service. Our cost price (including free delivery to most world locations) is under $4.00 per book. You can obtain pricing and delivery details and order not-for-profit books on this page. 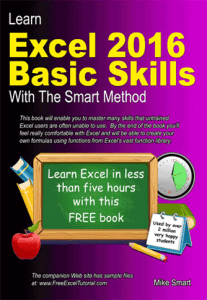 Excel Basic Skills paper books are often used as free giveaways by employment agencies (for job applicants who need Excel skills) and by employers (to empower their employees with basic Excel skills at minimal cost). If there’s an option to use A4 rather than Letter paper we’d recommend A4 as the book will then look a little better. If not Letter paper will be fine. The book has been designed so that each lesson fits onto two facing pages. 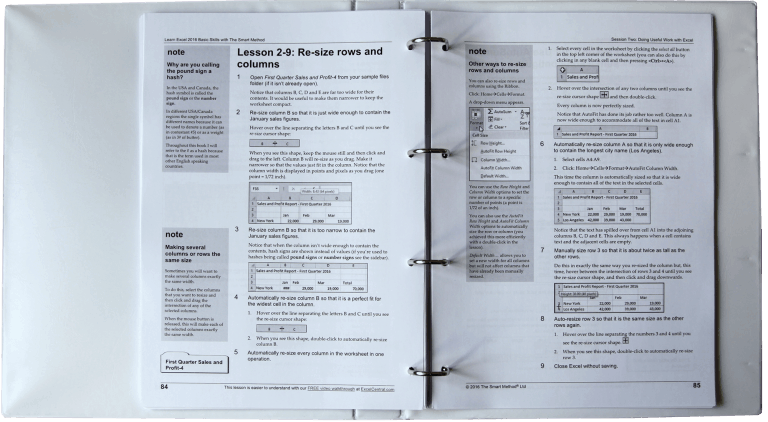 If you print double-sided and then put the pages into a ring-binder it will be a lot easier for students to work through the lessons. For a professional touch, most binders allow you to slide a color insert into the front cover. You can print out the appropriate cover sheet (from the links below) in black-and-white or, preferably, in color.